Price REDUCED!!! Buyer now before Summer rental season! OPEN HOUSE 4/19 Friday 11am-2pm, Saturday 4/20 from 2pm-4pm. CONSTRUCTION NOW COMPLETE!! GULF Front 3-story home in Laguna Beach with POOL, ELEVATOR and attached garage. This home features 5 bedrooms and 5 1/2 baths, 2832 sq ft total with balconies off the 2nd and 3rd floor and covered porch on 1st floor leading out to the gulf front pool. With porcelain tile flooring throughout the home, recessed lighting, crown molding, custom closet shelving, solid core interior doors, quartz countertops, Rinnai tank-less water heater with recirculating loop and porcelain tile showers & tub surrounds - this home is absolutely gorgeous. 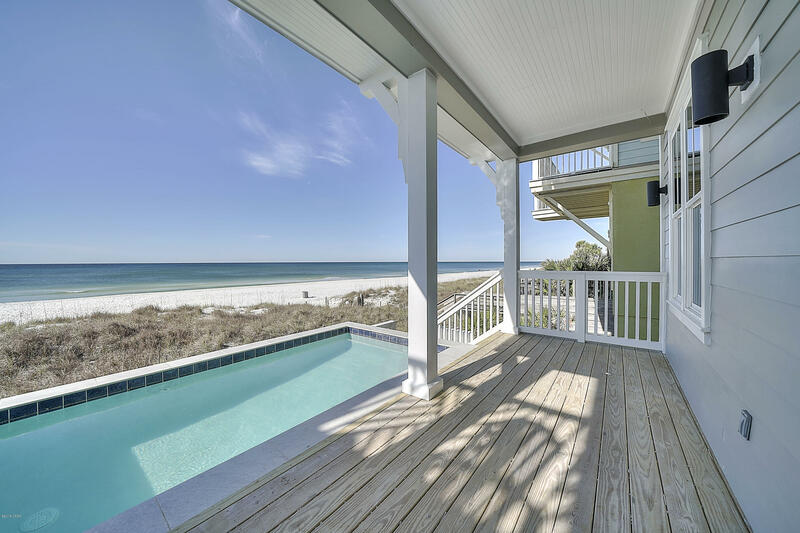 ***Amazing gulf front home - West Panama City Beach and under $2M! Contact your Realtor today to come take a look!